DisplayMate, one of the most authoritative resources when it comes to screen testing, has published a detailed overview of the displays of Samsung’s new flagship smartphones. Experts evaluated the brightness, viewing angles, color accuracy, distortion and other parameters of the screens and made a verdict. In fact, the displays in Galaxy S9 and Galaxy S9 Plus are exactly the same as in last year’s models. This Super AMOLED-matrix with a diagonal of 5.8 or 6.2 inches, a resolution of 2960×1440 pixels and an aspect ratio of 18.5: 9. Dr. Raymond Soneira of DisplayMate confirmed that the panels are no different at the hardware level. But the image quality and color accuracy have been significantly improved due to a more accurate factory calibration. 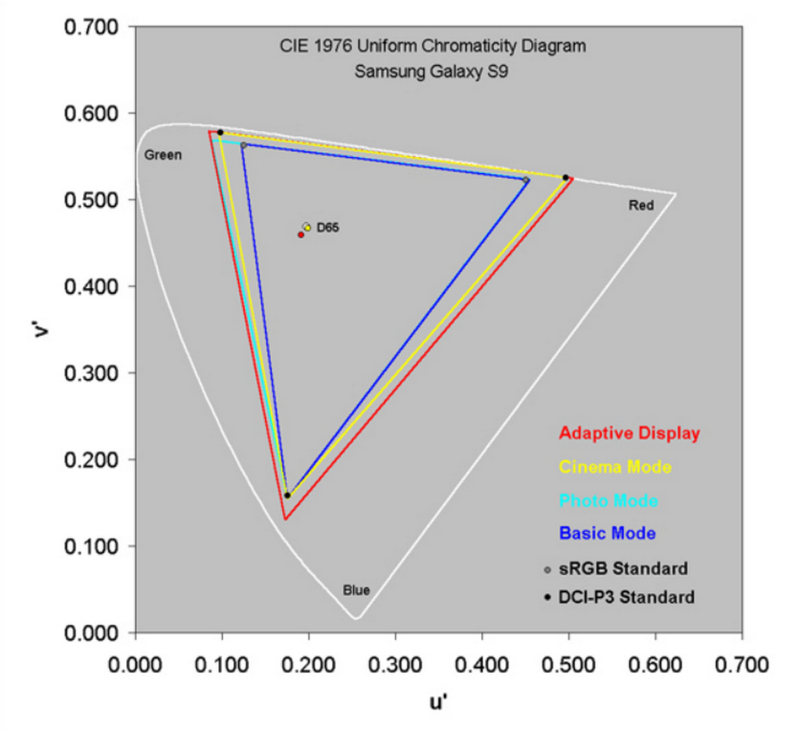 DisplayMate experts said that the color accuracy on the Galaxy S9 screen is as close to the ideal as possible, and assigned it the highest class – “Excellent A +”. When automatic adjustment is enabled, the brightness of the Galaxy S9 screen reaches a value of 1 130 nits, which is 20% higher than the Galaxy S8, but 70 nits less than the Galaxy Note8. At Galaxy S9, as well as at the predecessor, the sensor of external illumination is both in front, and behind that allows to adjust brightness more quickly and more correctly. 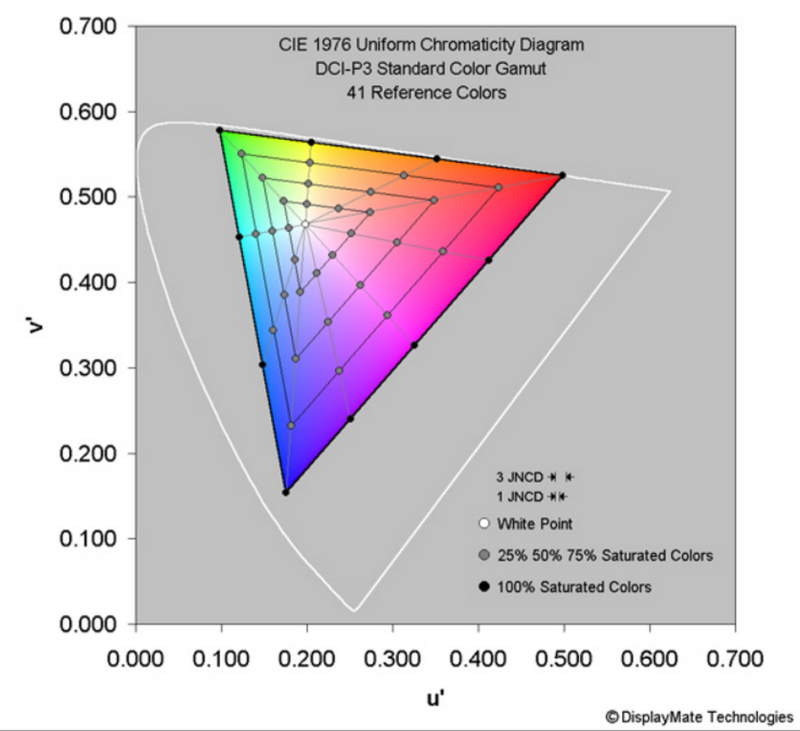 The accuracy of DCI-P3 is 143%, and the color coverage of sRGB is 113%. This is the best performance that DisplayMate employees have ever seen on any smartphone or tablet. The reflectivity of the Galaxy S9 display is 4.4%, which is the lowest in the market, and the color shift is only 1.1 JNCD at 30 degrees, which is also considered the best indicator among all OLED screens. A detailed overview of the Galaxy S9 and Galaxy S9 Plus screens is available on the DisplayMate website. Previous articleHow to Hack login password on Windows 10 on HP Laptop? That’s really nice! Samsung is a great brand with expensive items, mostly the screen and the calibrator, this new one is great on market now.